This application handels the "product Input" section of a large machine. There are two motors controlling each one conveyer. 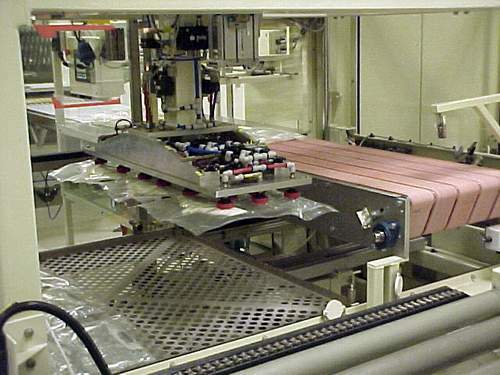 It is used to separate incoming bags to an equal distance. The long conveyer moves the correct distance while the small conveyer puts a new bag on the long one. 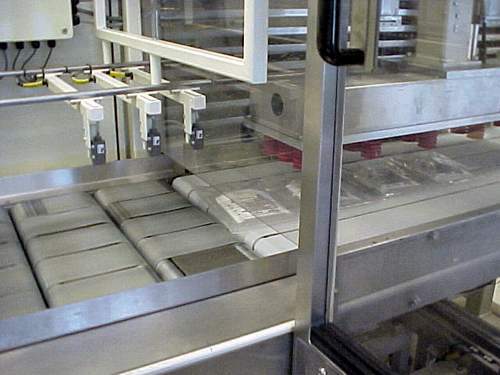 The number of bags on one row and the distance between the bags is set by a PLC. If the long conveyre is full, then the bags are picked-up. This is the input section of the conveyer. The small ones at the left are running start/stop at a fixed speed, to supply the bag to the last two sections of the conveyer. The bags are picked-up from the conveyer and they are moved to the last free position on the tray.